John Ward will be joining Grace Brethren International Missions as the new recruitment coordinator. His title is O2 Mobilizer (Overseas Opportunities) and he will begin his duties on January 1, 2008. 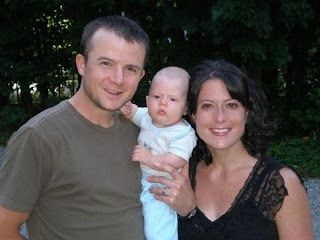 He and his wife Kate (pictured at right with son, Micah) will continue to reside in Ohio, which places them close to about 1/3 of the Grace Brethren in the United States.